A couple of weeks ago I headed to Spain with my mountain bike for the second time this year. This time the destination was just outside Madrid, so a little further north than my previous trip to Malaga. I was a guest of Marin Bikes, who’d chosen the little known (in the UK at least) Sierra de Guadarrama to film the new Marin-Stans No Tubes Enduro team edit, and as all my jobs/roles and work/leisure tends to be virtually indistinguishable, I was there to write articles for Wideopen Magazine and MBR Magazine as well as to get myself some photos and whatnot. 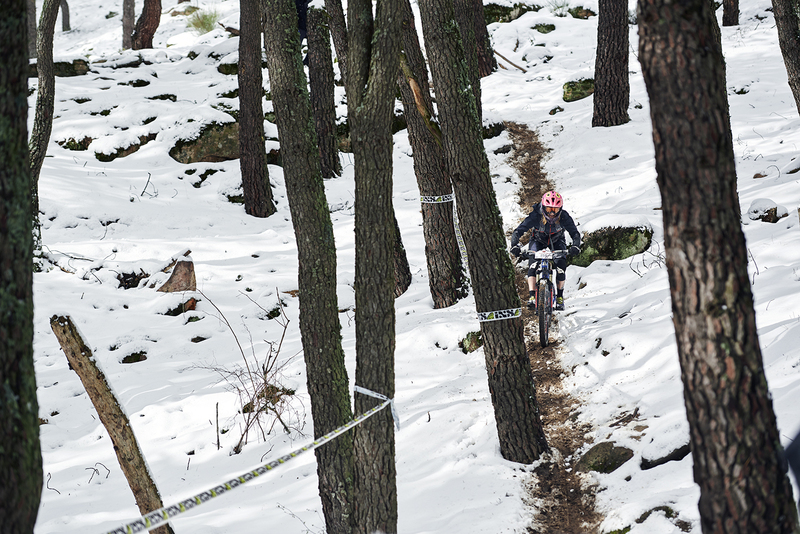 And never keen to pass up an opportunity, I was also there to an Enduro race, my second as it happens. For some reason, despite checking the forecast multiple times before leaving, I absolutely refused to believe that it would be cold and snowy so I packed really badly and spent the week feeling VERY cold. What classic British narrow-mindedness to believe Spain is all beaches and sunshine. DOH! 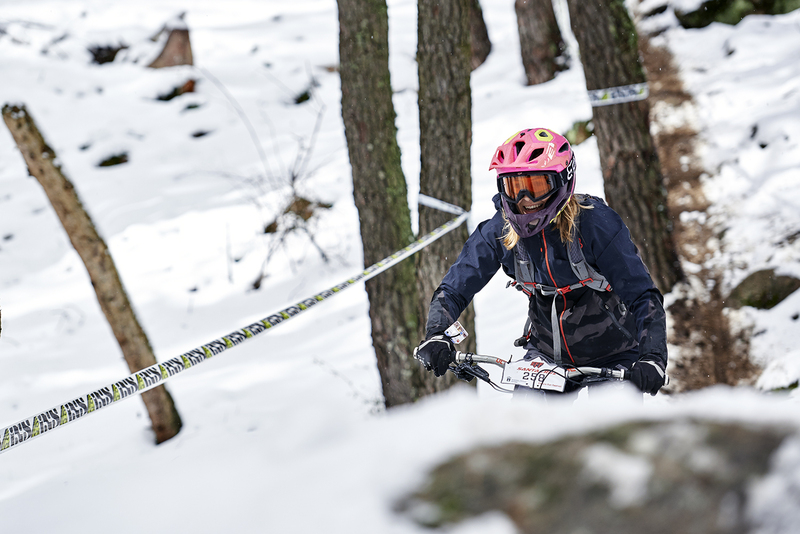 As I don’t want to spoil my upcoming articles I’ll leave it at that for now and just direct you to Wideopen Magazine to read all about Enduro Fun Festival and how I got on with racing in snow. 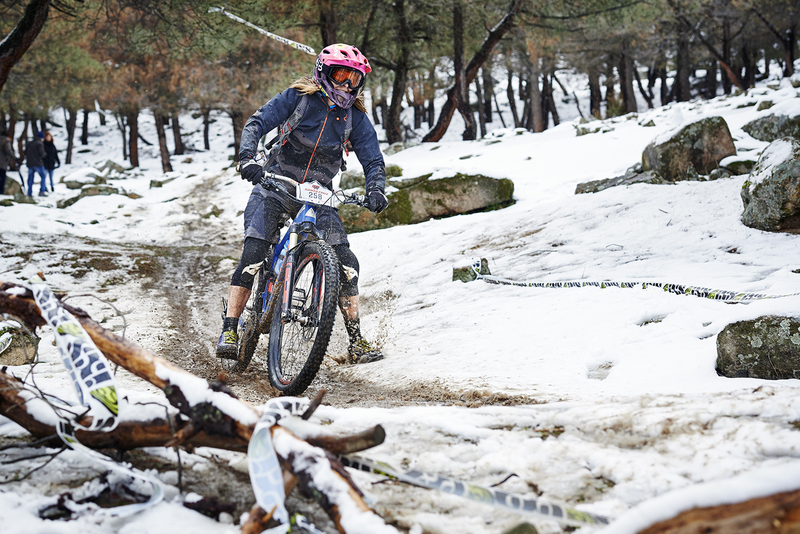 Or if you want the short version of that piece, here it is: It snowed, one of the stages was closed, we raced two of them instead, I kept slipping and sliding all over the place, I came third in my category. The MBR piece will include details of where I stayed, where I rode and with whom, why it’s such an amazing place and how you can replicate the trip, so look out for that one in a future issue. Thanks for the lovely race day photos Violeta Beral! .Previously Video: Improve Your Road Cycling with me!